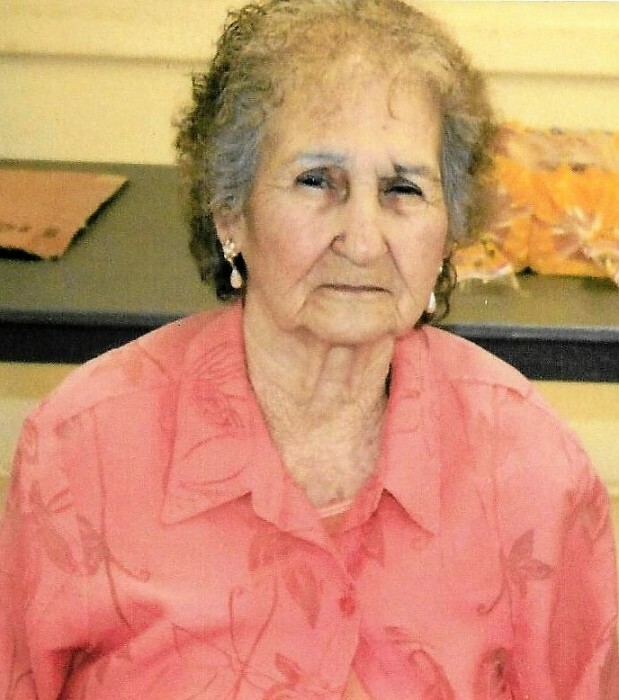 Obituary for Elisia (Rendon) Coronado | Hondo Funeral Home, Inc.
Elisia R. Coronado, age 89, went to be with the Lord on April 1, 2019. Elisia was born on June 19, 1929 in Hondo, Texas. Elisia is preceded in death by her husband: Jesus T. Coronado; parents: Juan Rendon and Leonarda Guerra Rendon; brothers: Santiago Rendon, Baldomero Rendon, and Esteban Rendon; and sisters: Teresa Sauceda and Guadalupe Sanchez. Elisia is survived by her sons: Jesus Coronado (Martha), Ernesto Coronado, and Ronnie Coronado; daughters: Ernestina Castillo (Eufrasio) and Hermelinda Ozuna (Gustavo); sister: Merced Rendon; and numerous grandchildren and greatgrandchildren. A visitation will be held on Thursday, April 4, 2019 from 5:00 p.m. to 8:00 p.m. with a rosary recited at 7:00 p.m. at Hondo Funeral Home. A funeral mass will be held at 10:30 a.m. on Friday, April 5, 2019 at St. John's Catholic Church. An interment will follow in Hondo Cemetery. Services are under the direction of Hondo Funeral Home, Inc.